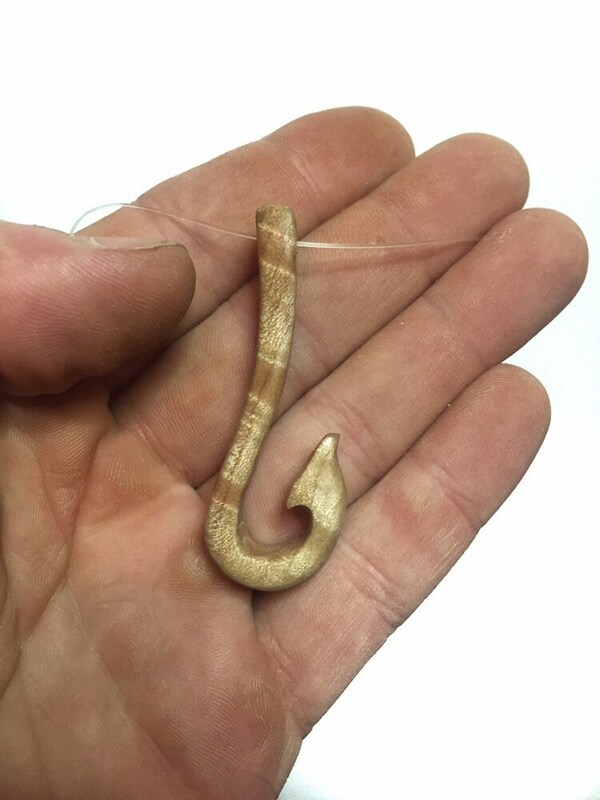 This is a wood carving of a fish hook, hand carved in Curly Maple wood. 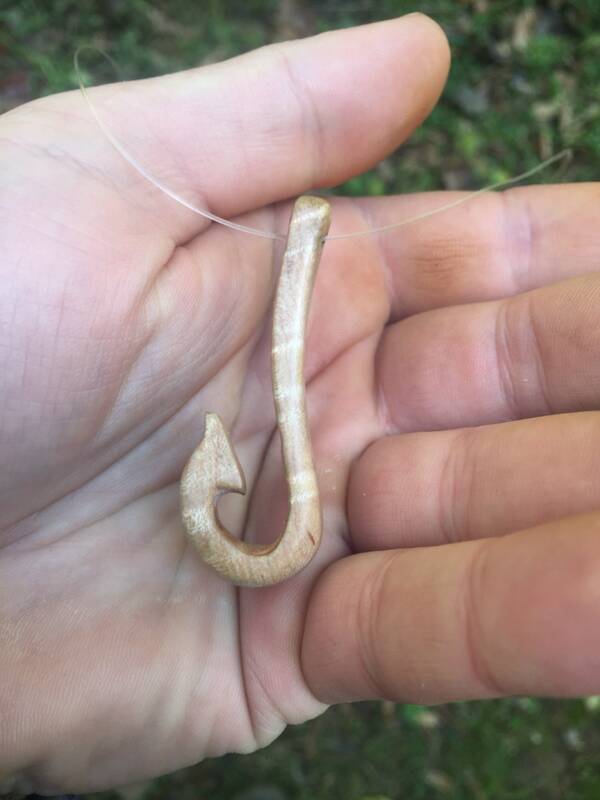 The necklace is made of 25 pound test fishing line. I used sliding knots, so the necklace is adjustable. 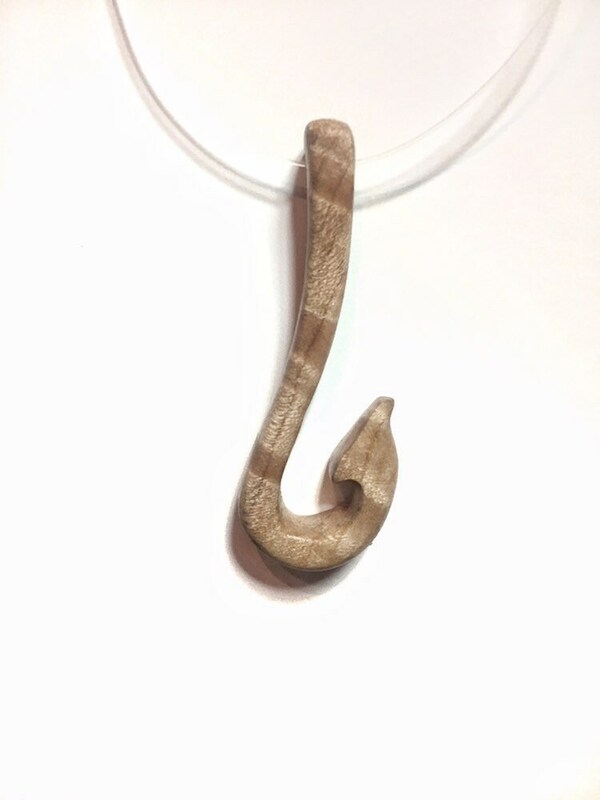 It will make a perfect gift for the fisherman in your life! 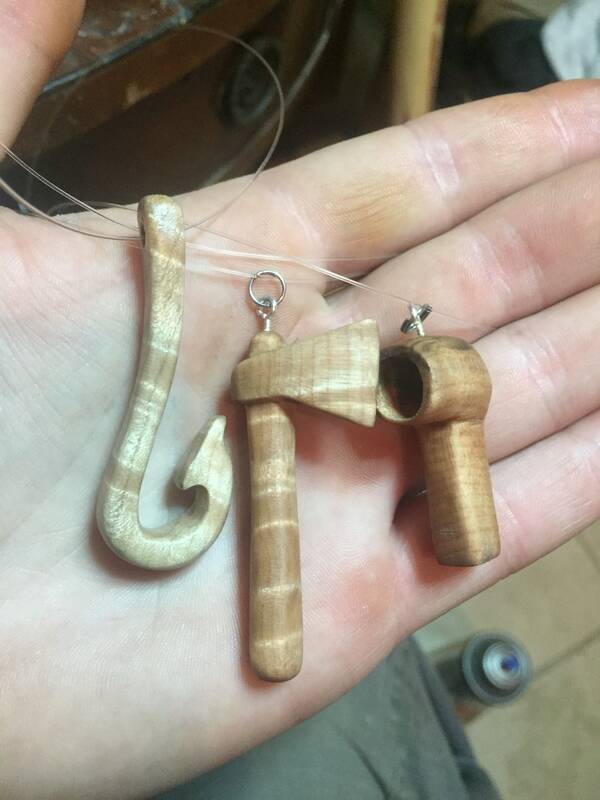 This pendant measures 2 1/4” long, 3/4” wide, and 1/4” thick.. The necklace will adjust, so it’s easy to fit over your head while putting on and taking off. It will shorten, so that it is very short. Short or long, this necklace will meet your needs. 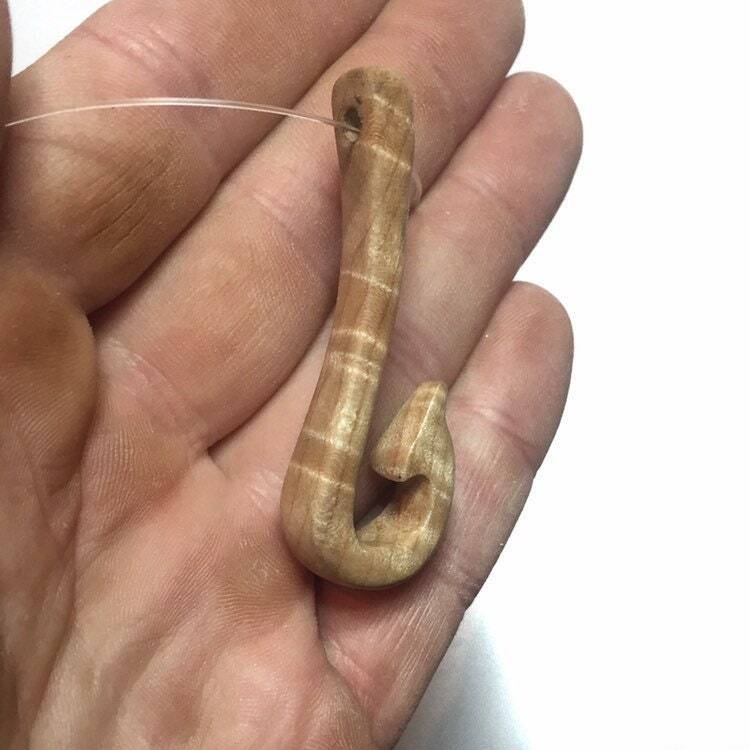 I carved the pendant using hand tools, knives, sandpaper, and polyurethane. It was made completely by hand. I carve everyday for a living. This is what I love to do. If you have any questions about a carving, or would like to have a custom piece made just for you, please feel free to contact me. 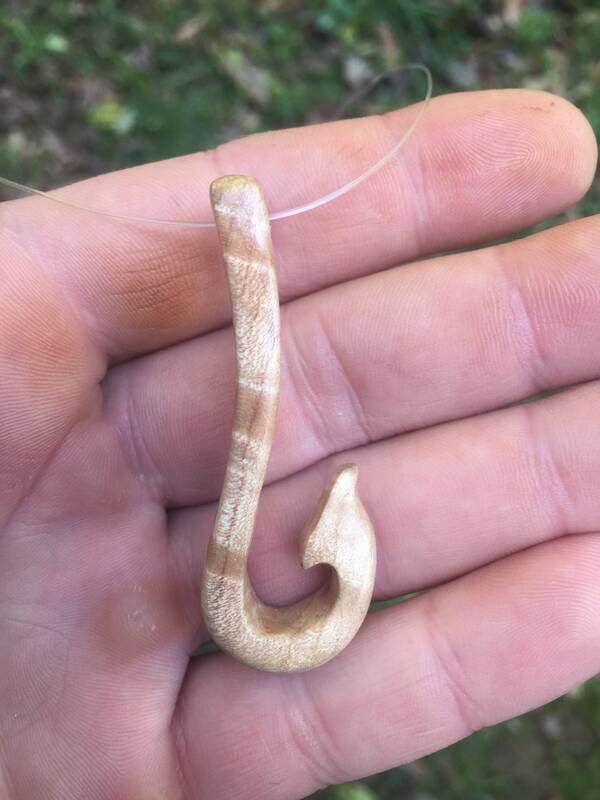 You can reach me here, carpcuts [!at] live.com, or call 740-979-5511. Thanks so much!